It’s very easy to take for granted curling up in a favorite chair, lying in bed, or sitting at your table reading a book. Currently, thousands of American military service members serving overseas don’t have the most luxuriant settings for reading a book. And, many of them don’t have access to the books that they’d like to read. However, there is a way to help get books to American soldiers. 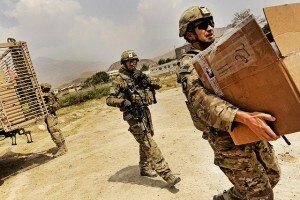 At booksforsoldiers.com, you can help directly by shipping books, magazines, or board games to active duty soldiers who have specifically requested them. The process is simple, you register on the site, you send in a notarized application, and then you have access to direct requests for books from U.S. soldiers. Instead of blindly donating money, you can ship books directly to soldiers who will read and enjoy them.